One way of improving solar power systems is by introducing new materials. The basic elements of a solar panel converting light into electricity are photovoltaic cells, or solar cells. They are mostly made of polysilicon—a highly pure polycrystalline form of silicon. But scientists are busy looking for alternative materials. Organic polymers with photovoltaic properties are one of the prime candidates to replace polysilicon. By experimenting with various polymer modifications, the team increased cell efficiency from 3.7 to 10.2 percent. 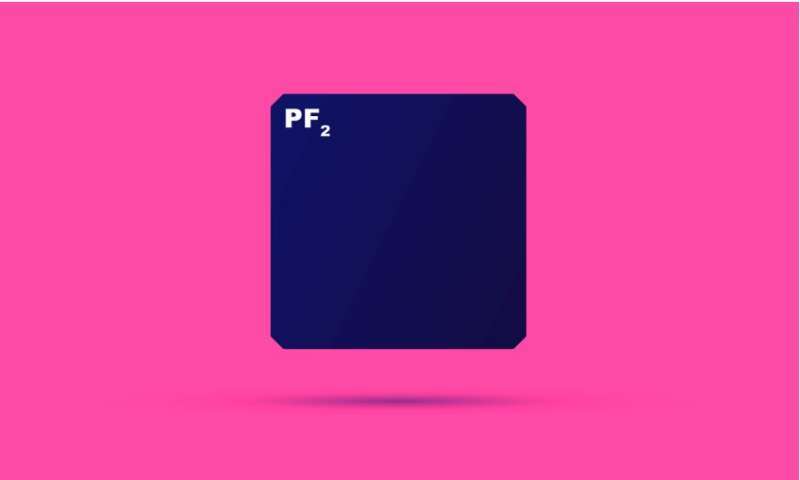 While this still falls short of the commercial silicon photovoltaics, the massive gain in efficiency suggests that polymer-based cells are a technology to be reckoned with. Perhaps with further tweaks organic solar cells could outperform their polysilicon-based counterparts. The generic polymer used in the experiment has a rather complex molecular structure. It consists of a chain of repeating units shown in the left part of figure 1. Each of them includes sulfur heterocycles—rings made of one sulfur and four carbon atoms—and hydrocarbon side chains with a branched structure. 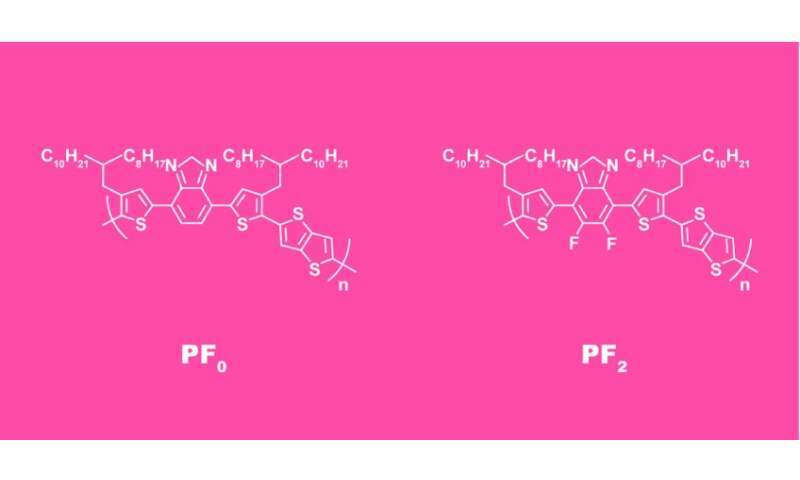 The researchers produced a number of modifications of this polymer to find which one has better photovoltaic properties. They changed the structure by adding fluorine atoms (figure 1, right) and varying the length of the side chains. One polymer configuration proved to result in vastly superior properties. Namely, the cell efficiency and current output were several times higher. The team then investigated the microscopic structure of the best-performing compound. X-ray analysis revealed polymer stacking to be more ordered. Also, the molecules were characterized by higher charge carrier mobility, which means the material conducts electricity better. For a solar cell, this is clearly an advantage. Co-author of the study Professor Dimitri Ivanov pointed out the technological advantages of the organic solar cells. He said they can be manufactured in fewer stages, compared with conventional silicon photovoltaics. The light-absorbing polymers can also function as a thin film, which means the solar panels need not be flat. "For example, you could deposit organic solar batteries on roof tiles," adds Ivanov, who heads the Laboratory of Functional Organic and Hybrid Materials at MIPT and is director of research at the French National Center for Scientific Research. According to Ivanov, what made the study challenging was the "need to optimize solar cell efficiency by picking the right molecular energy levels of the donor and the acceptor, while also creating the appropriate supramolecular structure that would facilitate charge transport to the electrodes."